Resort Kenya. Your holiday in Watamu. Set on the turquoise waters of Watamu National Park, the Seven Islands Resort is the result of an architectural twist of Arab, Swahili and Indian influences. The Seven Islands Resort offers spectacular views of the Islands of Love and their natural wildlife. The hotel has 84 comfortable rooms, a SPA, two seaside restaurants, three bars and three swimming pools, one for children. The hotel has a 200-seat fully-equipped conference room. Secretarial and translation services are available upon request. Seven Islands Resort is located in Watamu, 100 meters from the Bio-Ken Snakeskin Research Center. It features air conditioning, a bar and free private parking. The rooms, some with sea or pool views, come with a flat-screen TV and a private bathroom with a hairdryer and courtesy set. 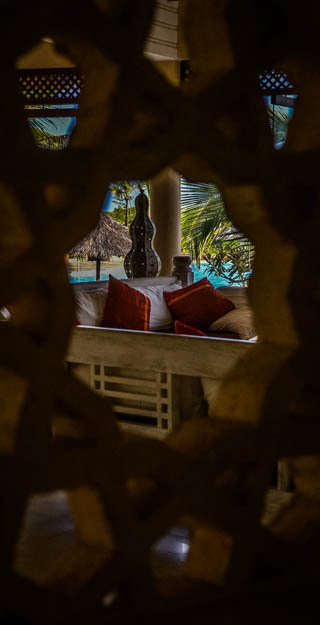 Watamu’s Seven Islands Resort has many double bedrooms, all tastefully furnished to provide guests with the maximum comfort during their stay, with a maximum occupancy of three people per room. If you are a large family, but do not want to miss the tastes of staying together during your stay, the Seven Islands Resort in Watamu, dive of family rooms with a maximum capacity of 3-4 people per room. The Seven Islands Resort offers a comfortable and fully equipped Congress Center. Our Conference Center can seat up to 300 seats for meetings, ceremonies and conferences with the utmost comfort and productivity. Bring your congressmen to Seven Islands Resort and enjoy the beauty of Kenya’s coast, the flavor of our local and international cuisine, and the warm hospitality of our Resort. Keep an eye on the congresses in a room equipped with all the equipment needed to make a successful event. Resort Kenya. Your holiday in Watamu’s white washed beaches.